THE RIGHT TO CHOOSE In Yorgos Lanthimos’ new film, men and women either pick a mate or turn into an animal of their choosing. 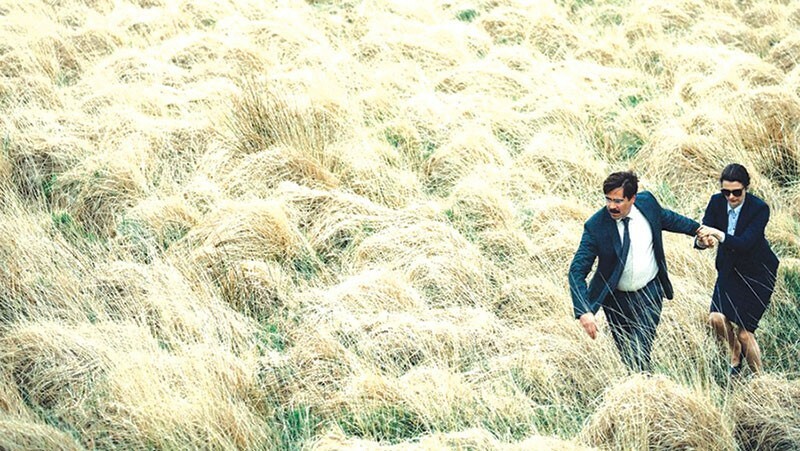 The defining characteristic of The Lobster is its bizarre plot. In a near-future dystopia, the city sends single men and women to a remote hotel where they have 45 days to find a soul mate or be turned into an animal of their choice. With that unusual device in place, Greek director Yorgos Lanthimos' first English-language film explores the nature of modern relationships with twisted and unsettling results. The film introduces us to the recently divorced David, played with desperate restraint by Colin Farrell, who once again proves he's best when he plays it quiet rather than heroic. A clinical narration by Rachel Weisz (who we will meet later) describes David's situation as he attempts to find his mate. In an early interview with the hotel manager, David is asked which animal he would like to be turned into should he not succeed in pairing up. He chooses a lobster for its longevity and lifelong fertility, and the manager commends him on an excellent selection before having one of David's arms handcuffed behind his back. While everything at the hotel is meant to encourage coupling, it is all done in the most detached manner. Conversations are emotionless, smiles are nonexistent and residents of the hotel are all defined by their least attractive quality, such as "the man with a lisp" (John C. Reilly). This stilted atmosphere permeates the entire film, at first nearly destroying any affection the audience might have for the characters. As the film progresses, however, and the strangeness intensifies, such as when the hotel residents are sent out to hunt the loners who live in the woods, The Lobster's alienating nature starts to intrigue rather than repel. By the time David makes it back to the city, the true stifling horror of the film reveals itself and the parallels to our own social obsession with beauty and romance become clear. Moreover, in a world where a leading presidential candidate calls women "fat pigs" and "disgusting animals," The Lobster begins to seem not so bizarre after all. 'The Lobster' opens Friday, May 27, at Rialto Cinemas, 6868 McKinley St., Sebastopol. 707.525.4840.